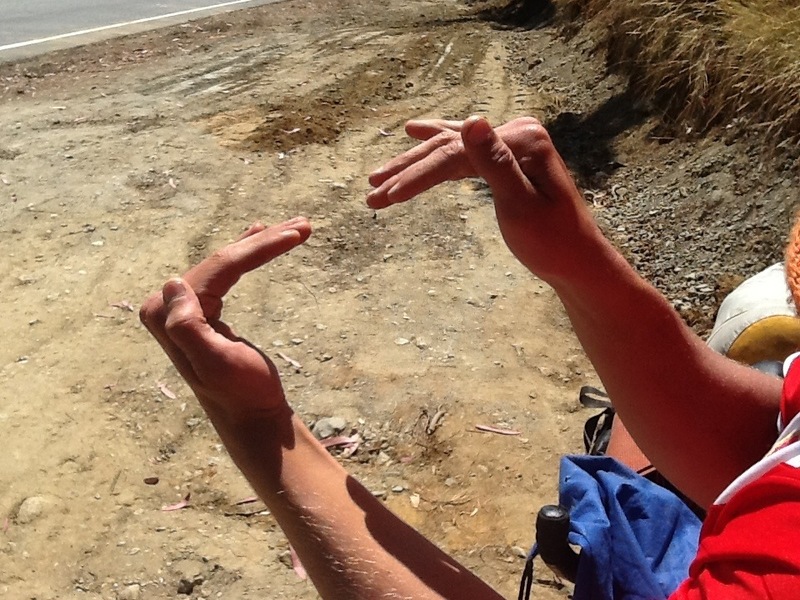 The first time my pinky stopped working was on a bike ride down Skyline drive in California. The combination of cold rain and wind removed the heat from my ungloved hands faster than my blood could replace it. We pulled over to stop because I was having difficulty operating the brakes, which is not a good thing on a wet and rapid descent. I tried moving my hands and found that I was unable to bring my pinky in to touch my ring finger; it just stayed out there by itself, indifferent to my commands. The inability to actively bring the pinky against the other fingers (loss of adduction) is called Wartenberg’s sign. It signifies that function of the deep branch of the ulnar nerve has been lost. This branch is the phone line to the third palmar interosseus muscle, which is the sole muscle responsible for bringing your pinky in against your other fingers. If the third palmar interosseus muscle isn’t working, the resting tension of the extensor digiti minimi pulls the pinky away from the ring finger (see the illustrations below). Once my hands warmed up, blood flow returned and my pinky worked again. Next time you think your hands are really cold, test yourself for the Wartenberg’s sign to see just how cold they really are. Wartenberg’s sign in vivo. I am trying as hard as I can to bring my fingers together but can’t do it on the right side. The third palmar interosseus muscle is highligted in blue. This muscle pulls the pinky in. As a side note, I was also likely suffering from decreased function of the other small muscles of the hand supplied by the deep branch of the ulnar nerve: the 3rd and 4th lumbricals, adductor digiti minimi and flexor digiti minimi, as well as adductor pollicis (the last of which adducts the thumb, contributing to my loss of grip strength). Finally I performed a little PT exam on my self to assess my hand function more specifically. Sure enough, Wartenberg’s sign was there. I was also unable to make the lumbrical position on my right hand (see picture below). 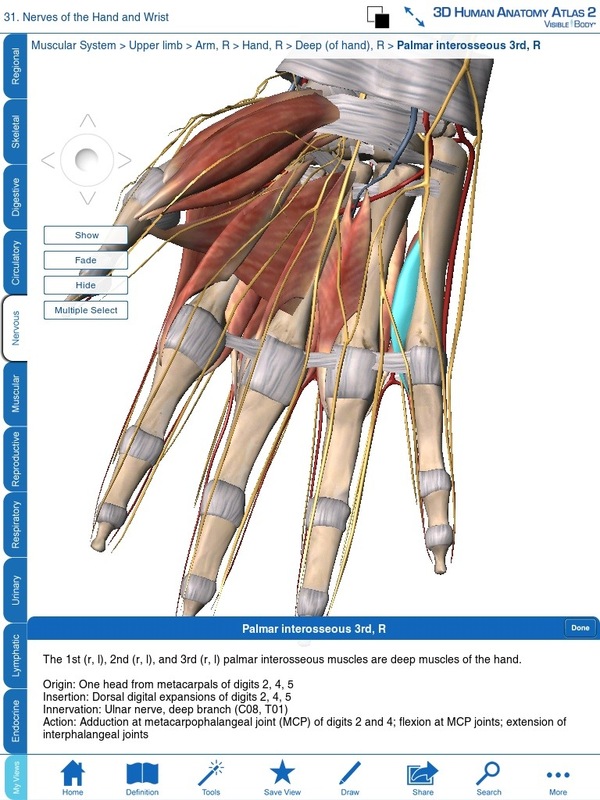 The lumbrical position can only be achieved if the little muscles called the lumbricals are working properly–like the third palmar interosseus these are innervated by the deep branch of the ulnar nerve. Notice how I am unable to straighten my pinky and ring finger in the lumbrical position in my right hand. The fourth lumbrical is highlighted on blue. The verdict? The deep branch of my ulnar nerve wasn’t working. Since I had otherwise normal function of ulnar nerve innervated muscles above the wrist, I knew it was only the deep portion that was having the problem. 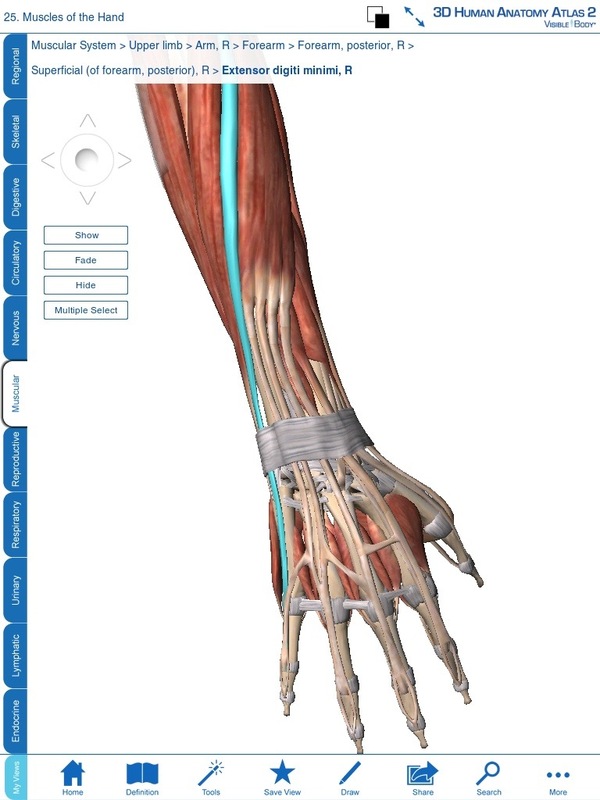 Here you can see the deep branch of the ulnar nerve highlighted in blue. It has a fairly roundabout pathway and passes right under the heel of the palm on which I was bearing weight while biking. 2. As the driver of a tandem bicycle fully loaded with gear, I could not take my hands off the handlebars so there was constant pressure on my hands. I did take my hands off once to to give my hands a break and we immediately veered across the road headed straight for a clifff. I didn’t do it again. 3. 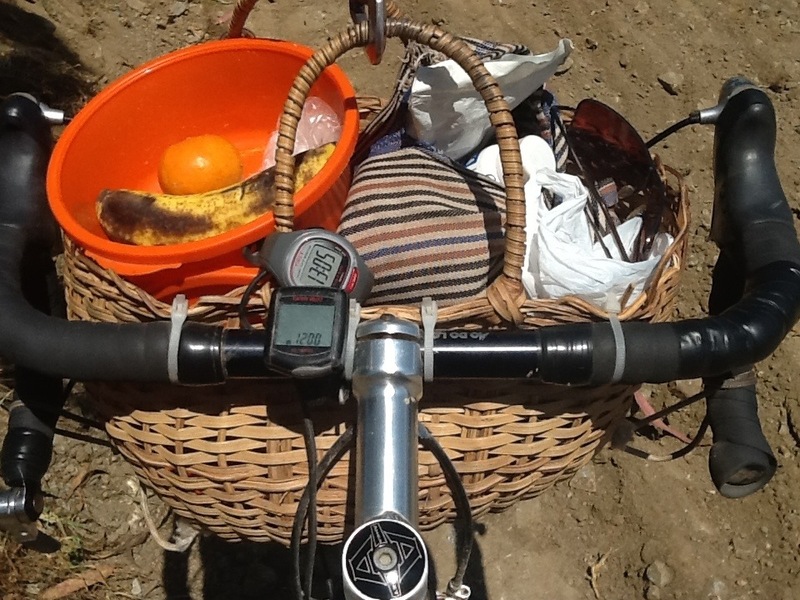 The seat was already at its lowest height and the handlebars at their highest. This arrangement was aerodynamic and shifted more weight to the front wheel and off the overburdened back wheel, but unfortunately placed a fair amount of my weight on my hands. 4. My gloves did not have padding on the palm. 5. Finally — and this is likely the reason that only my right hand suffered the damage it did — the bar tape on the right side of my handlebars ripped at the corner, directly at the place where the heel of my palm rested most of the day. Here you can see where the thin padding ripped on the right side of my handlebars and we covered it with electric tape. I tried massaging the area, as well as soaking it in tepid water then testing my function. This resulted in no improvement. The goal of these efforts was to increase blood flow to the nerve. These efforts didn’t work either because they didn’t actually increase blood flow (a tub of hot water is hard to find in the Andes) or because I had nerve damage that would take much longer to heal. And that’s the good news, nerves do heal, but very slowly. Since I didn’t have a complete severing of my nerve I am expecting return of full function in three weeks. As long as I don’t keep damaging it. 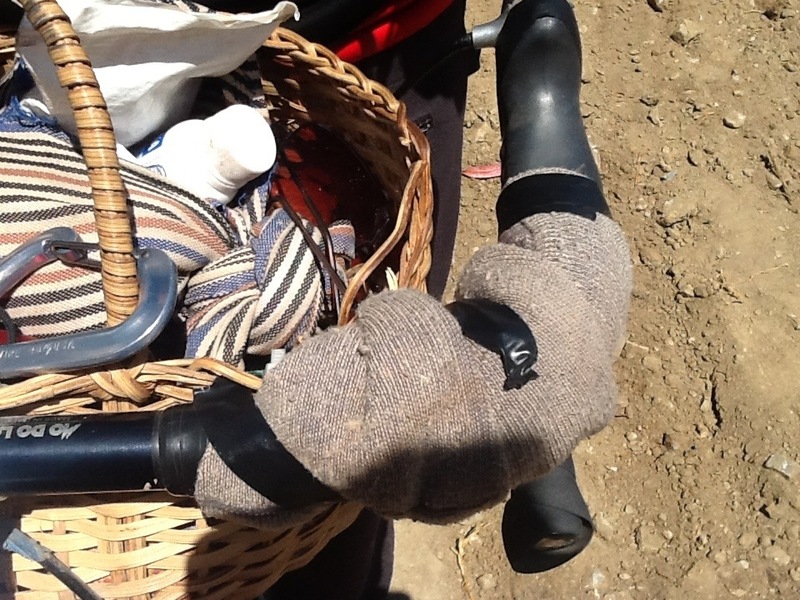 To this end, I started wrapping my handlebars in wool socks. Oh and I also stopped biking. We reached our fnal destination, Pisac Peru, after 893 miles and 25 days in the saddle. It has now been over a week after I started noticing my deficits, I can make the lumbrical position better than before but still have Wartenberg’s sign. I am going to try soaking in some really hot water to see if I can jump start it. I went cycling for four hours yesterday and on the way back to base, I crashed. I remembered feeling numbness on my right hand. I think I have Wartenberg’s syndrome as my right ring finger stopped working. Hi cancan, thanks for your comment. Wartenberg’s sign only involves the pinky finger not the ring finger. Pingback: Pause | wife. mother. awesome girl. Thank you for this post. I found it with a very specific Google search. I have been experiencing the abduction of my pinky finger and a loss of strength in my left hand, also my writing and throwing hand. I also found some PT exercises to do and I will get the cycling gloves before my next bike outing. I have only been cycling about 2 months (at least since I started back from when I was a teenager). Thank you again. Hello! I have had progressive atrophy of the muscles associated to the deep branch of the ulnar nerve. 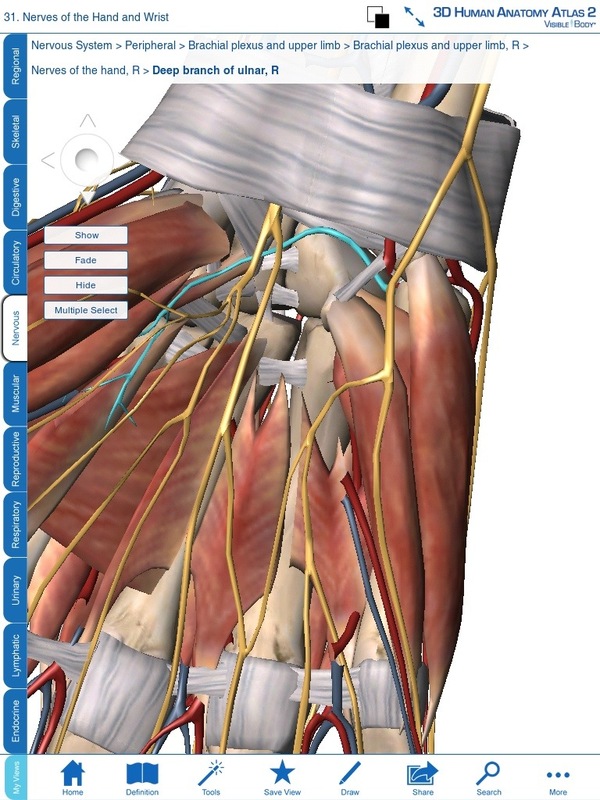 Question for you…when you had this issue did you feel numbness in the pinky or any of the palmar or dorsal interossei? I have never felt any numbness and I am trying to assess if this is the result of something acute as in your case or if it is something more chronic like an auto-immune condition. I’d be interested in your response when you have time. Thanks! I had a little numbness in the pinky while on the bike but not off the bike. I haven’t heard of an autoimmune condition that causes weakness specific to the distal ulnar nerve. I recommend getting evaluated by and MD and a PT. I have gotten this same outcome from doing “ring muscle ups”. It’s been just three days now and no sign of improvement… I was just wondering whether your finger got better in the end? Yep, the false grip in ring muscle ups would put pressure on the ulnar nerve at guyon’s canal. I was fully recovered in two months. Still more prone to get a positive Wartenberg on that side on a wet cold bike ride but otherwise fine. False-grip training gave me this very same outcome too – I felt pain at the base of the palm, and soon noticed the little finger dysfunction. It’s been a few days with no improvement or worsening. How did it go for you? I show Waternberg’s sign, but with no trouble making the lumbrical position. Is that inconsistent with your diagnosis of your own incident? Or might I simply have damaged fewer sub-branches, so affecting just the third palmar interosseus muscle? 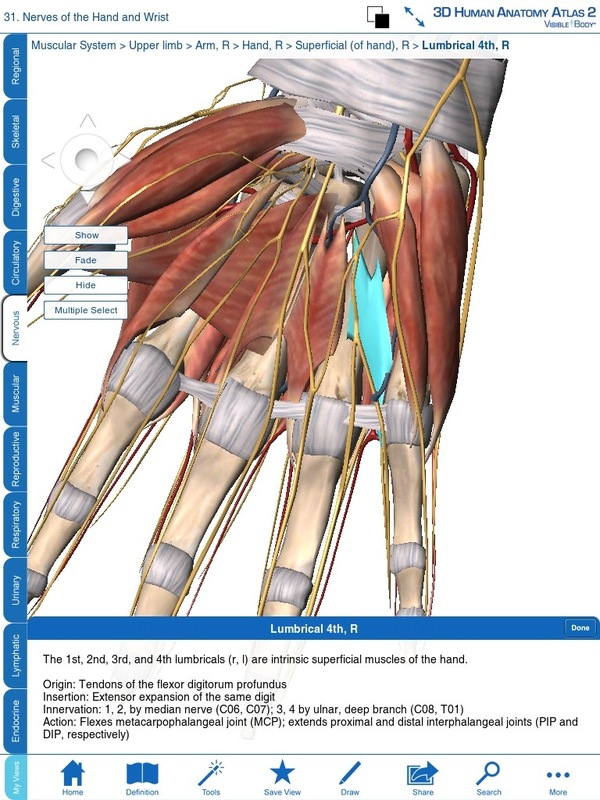 Yes, false grip puts pressure on exactly the same area where the ulnar nerve passes under the hook of the hamate. I didn’t have lumbrical weakness or pinch grip weakness until the problem had progressed further.